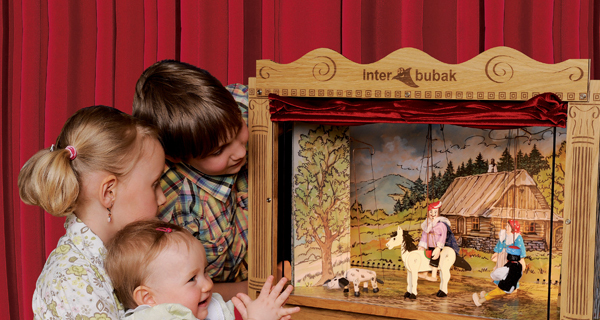 The theatre model Basic is a lower cost version of the premium model Classic. Model Basic does not contain some of the features of model Classic, such as effects illumination, actor concealing area and a set of plexiglass set scenes that are replaced by a set of lower vertical set-scenes. However the set of main and side set-scenes, the curtain and the rear support panel are compatible with model Classic. The model Basic can be upgraded to model Classic by purchasing Interbubak upgrade kit. The high-performance Led lighting for model Basic is available as Accessory or you can choose model Interbubak Basic Led, which contains the Led lighting.